I’m a busy professional and was really interested in having a low maintenance, yet beautiful yard. 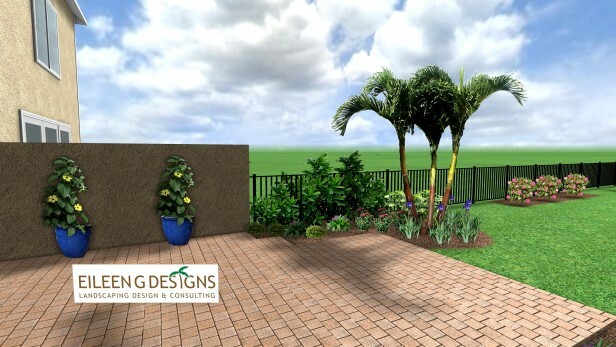 I didn’t know exactly how to go about it but after the initial meeting with Eileen, we decided on a budget and appropriate plant material, and Eileen prepared a landscape plan as well as color renderings so I could see what the design would look like. Very helpful! I really appreciated the design she put together and how professional she was in dealing with my HOA to coordinate all of the necessary paperwork. Eileen brought her crew in and had the job done in 1 day. The yard looks nice now and I am looking forward to all of it filling in and looking gorgeous!